More flexibility: Finance minister P. Chidambaram. Mumbai: India’s economy is likely to expand close to 9% in the fiscal year ending March, but investment in ports, roads and power generation must be urgently stepped up, said Union finance minister P. Chidambaram on Monday. Asia’s third largest economy has averaged growth of 8.6% over the past four years, leaving key roads, ports and airports choked with traffic. India estimates it needs about $475 billion (Rs18.7 trillion) between 2007 and 2012 to upgrade its roads, expand and modernize its ports, improve rail services and boost power generation. Many analysts say the country’s strong economic expansion could be at risk if infrastructure investment is not substantially raised. “There’s nothing more important to sustain growth than infrastructure," Chidambaram said at an Indo-US business conference in Mumbai. “Infrastructure investment in India over the 50-year period has been close to 5% of gross domestic product (GDP). “Growth (this year) is likely to be close to 9%. That rate of investment in infrastructure is lagging behind GDP growth." The minister said overseas borrowing rules for port, road, power and airport projects should be made more flexible so that private entrepreneurs could access cheaper funds. After a policy change in August, loans of more than $20 million raised by local firms abroad must be spent overseas. Analysts said the move was designed to check capital inflows which have pushed the rupee to nine-year highs. Chidambaram urged US firms to invest in the power sector as the government plans to add 78,000MW of additional capacity by 2012. India suffers severe power shortages and the government wants to build seven new 4,000MW power plants as part of a plan to meet the growing energy needs of its 1.1 billion people. But the government, saddled with improving the lives of more than 210 million poor and limited finances, is finding?it?difficult to fund infra- structure projects on its own. “What we find to our surprise and dismay is that US companies are not coming forward to bid for these projects. 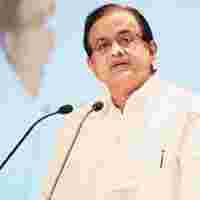 We want US companies to bid either on stand-alone basis or in partnership with Indian companies for these projects," Chidambaram said. He had said in July the government alone would not be able to meet the growing funding need for infrastructure and the country would need $18-20 billion a year in private investment. “Financing infrastructure is a major challenge. We have identified some steps that have to be taken. Firstly, we think that external commercial borrowings for infrastructure must be made more flexible," the finance minister said.